Home Economics: Coupons and bulk items. | Still Annush. …because no matter where you go, there you are! ← So much to do, so little time! Home Economics: Coupons and bulk items. Posted on April 18, 2012	by Annush! I am obsessed with couponing. Every weekend I collect my coupons, clip them, organize them and cross check them against the weekly circulars like it’s my job. Then I make a list of what am I buying where and when and once the day comes, I shop. 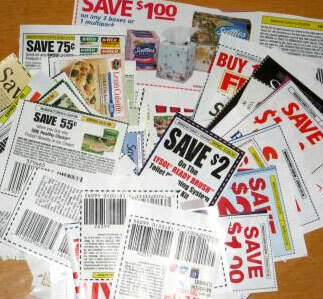 I have always liked couponing but I didn’t really get into it until I started watching Extreme Couponing. Week after week you see these people save hundreds of dollars in their groceries by just using coupons! Granted, in my opinion, some are crazies that use couponing as an excuse for hoarding. Still, if there is money to be saved, why not do it? Today I saved a combined $96.00 after visiting Whole Foods, Publix, and CVS. Go me! Anyway, I think I have mentioned before that grains, nuts, seeds, and legumes are awesome because they have a pretty long shelf life and are immensely nutritious. 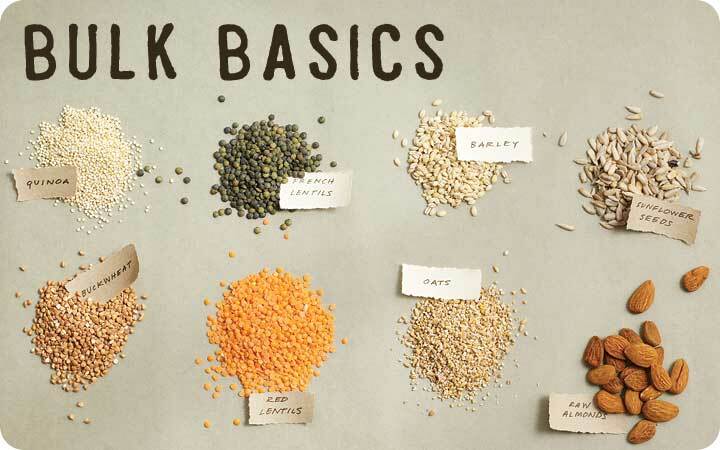 Whole Foods has a pretty cool booklet that tells you all about buying in bulk. For those who are money-conscious or merely frugal, buying in bulk is a cost effective way to keep a healthy pantry. Sadly, there are no coupons for bulk items- at least not at Whole Foods- but they do go on sale regularly. When the grains/nuts/seeds/legumes we use most go on sale, I take that opportunity to stock up. Today millet was on sale. In the interest of full disclosure, I have celiac disease and so I first became familiar with millet in the form of a flour. Over the years millet flour has helped me live a little bit better. I admit, every once in a while I cheat and were it not for certain gluten free staples, I would be a mess. Anyway, tonight I am planning on using millet in its granular form as the starchy part of our dinner and you can expect to see more millet based recipes in the upcoming months. *you can replace the soy sauce with coconut aminos. In a large skillet heat 1 tbsp of oil over moderately high heat and cook millet, stirring frequently, about 3 minutes, or until it makes popping sounds and begins to turn golden. Remove skillet from heat. In a small saucepan bring water to a boil and stir in millet. Cook millet, covered, over low heat 20 minutes, or until water is absorbed. Transfer millet to a large bowl and fluff with a fork. In clean skillet heat 1 tbsp og oil over moderately high heat until hot and sautée onion, stirring, until soft. Add shiitake and cook, stirring for about 2 minutes until soft. Add corn and cook for about 2 minutes until crisp-tender. Mix in curry powder, soy sauce, vinegar, remaining oil, parsley, and salt and pepper to taste and add to millet. I’ll post pictures on my Facebook page later tonight. What are your money saving tricks at the supermarket? This entry was posted in Food, Health, Life and tagged buying in bulk, coupons, extreme couponing, food, grains, health, legumes, life, millet, nuts, organic, recipes, sales, seeds, sustainable, vegan, vegetarian, whole foods. Bookmark the permalink. Throwback Thursday: The day I became a mother.